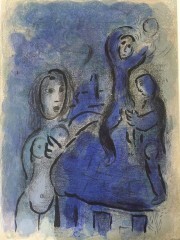 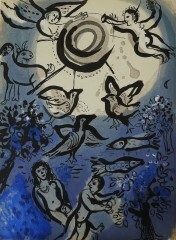 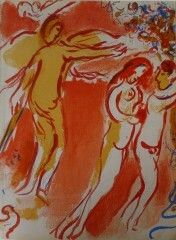 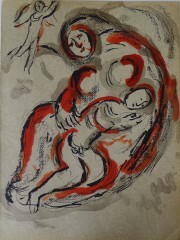 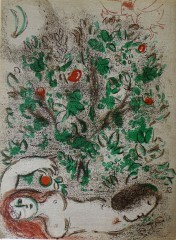 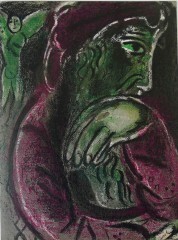 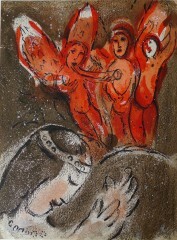 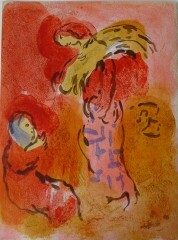 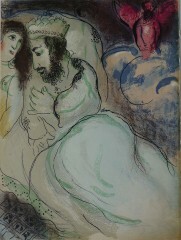 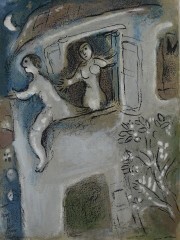 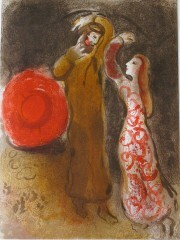 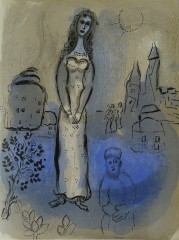 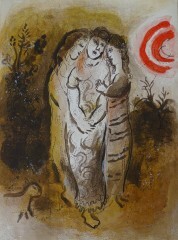 Marc Chagall was a painter, illustrator and designer. 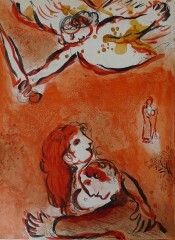 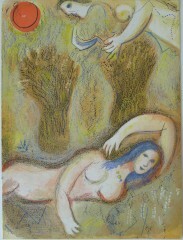 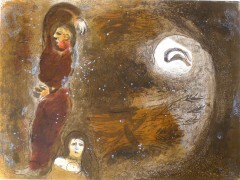 He is one of the most famous 20th century artists, known for the dream-like quality of his work, which often combines an undercurrent of Jewish themes with elements from childhood such as circuses and Ghetto scenes. 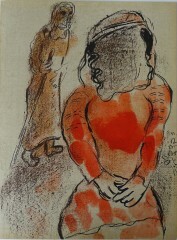 Born in Russia, Witebsk in 1887, he attended the art school in St.Petersburg in 1907 and it was there that he met Baskt, the famous Russian theatre designer. 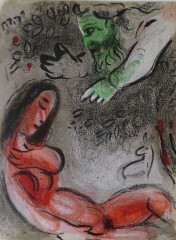 Chagall went to Paris in 1910, to further his education at the Atelier Impasse du Maine where he met Leger, Delaunay, de la Fresnaye and Gleizes, and introduced to the contemporary authors in Paris. 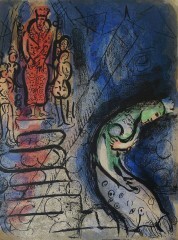 His first exhibitions were at the Salon des Independents and Salon d’Automme, both in 1912. 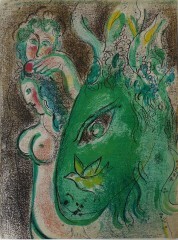 Like other contemporaries, such as Cocteau, he worked for some time in the South of France. 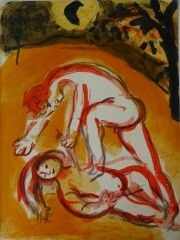 A museum is devoted to his work at Nice and he is well represented in museums and galleries world-wide. 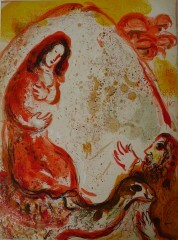 He was a prolific artist, not only did he paint he was also a stage designer, Scene Painter, sculptor and painter of ceramics. 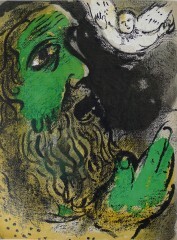 He produced nearly 1000 lithographs in his lifetime, some being limited signed editions, others were made for illustrating books, fine art magazines etc. 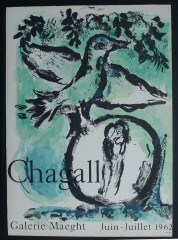 in larger edition sizes.